After many years photographing weddings, we've picked up a few do's and don't's that we thought we would share with you... We feel like a lot of these things are important because they directly relate to photography. If you choose to spend a lot money on professional photography, I think you should make sure that you are happy with the way you look and feel on your wedding day. 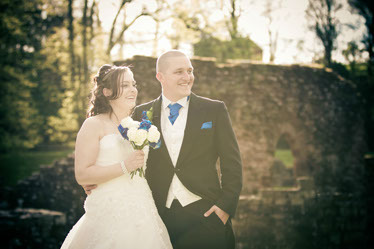 The way you look and feel makes a huge impact on the end product - your wedding day photos! We would never strictly impose any of this advice, so please feel free to take what sounds good and leave the rest! 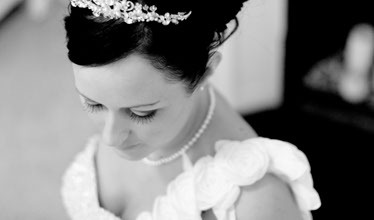 *Consider your wedding venue and your wedding plans when choosing your hair style, loose hair will not last long in an open top car/carriage. *Down-do's with curls or waves don't last very long in the British wind, so have a back-up plan. Maybe down for a set of photos and then up for the rest of the evening. Let's chat a bit about veils. Veils are beautiful. And, veils can be incredibly annoying. Here's what to remember when shopping for your veil. *Plan to wear a very long veil for a few photos and during the ceremony, only. *Realize that medium and long veils have a tendency to be pulled, tugged, snagged and yanked on throughout your wedding day. During photos with your groom, photos with your family and everytime someone hugs you, your veil will get tugged on or 'hugged'. *You do not have to wear a veil! A lot of the current blogs and online magazines are showcasing brides that aren't wearing a veil. *Use a Bird Cage veil and a headpiece. I love make-up. I love how you can completely change someone's appearance with a little make-up and the right application. I love that you can wear make-up, and if done well, no one would ever guess you were wearing make-up at all. *Hire someone who knows what they're doing. *Browse the internet for images of the way you'd like your make-up to look on your wedding day. Share those images with your make-up artist and make sure to have a trial run. *Wear false eyelashes. False eyelashes add drama to your face and contrast to your eye. You can be super dramatic with a full set of false eyelashes or keep it simple with just few individually placed lashes. 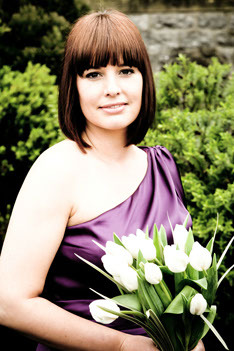 *Good make-up takes time - allow about 45 minutes in your wedding day timeline for make-up. Please keep the tanning (including fake tans) to a minimum. A nice, even, light tan is fine. We understand that you don't want to be pasty white on your wedding day, but tanning until your 4 or 5 shades darker than your normal skin tone makes our job really hard. When you tan too deep, I have a hard time editing the photos. It's really hard to evenly edit for skin tones when you (the bride) are really tan and your new husband, guests and wedding dress are not!